The hip-hop heads that have deemed themselves rap music’s gatekeepers stand with arms folded, pushingaside beats and rhymes that don’t fit the accepted blueprint. With that in mind, Serengeti & Polyphonic probably won’t make it past the gate, and that’s a shame. Recordings like this only come when you color outside the lines, and Serengeti’s life has had its share of fringe moments. 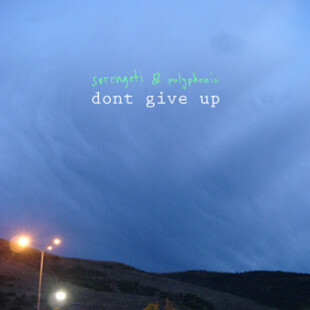 Serengeti finds a kindred spirit in producer Polyphonic, whose instrumentals are dressed in glitchy regalia and range from the danceable techno of “Waste Of Time” to the cello-soaked sadness of “2 Times 2.” The gatekeepers will scoff and label it “emo-rap,” but it is the album’s naked truth and transparency that makes it immediately noticeable in today’s rap world. Musically ahead of its time while lyrically speaking in real time, Serengeti & Polyphonic have created an album that will likely get better with age.